The Sechs volt Garage Blog: Welcome home! 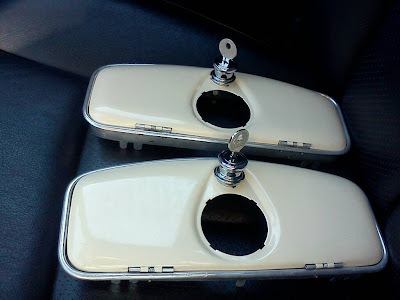 After a long time my glovebox doors are finally back home. They've got new keys, springs, hingeparts and chrome.